Middlesex University academic Graeme Brooker has been given a national teaching award in recognition of his dedication to teaching and developing excellence in the next generation of interior architects and designers. Graeme, the Head of the Department of Fashion and Interiors at Middlesex, was given the National Teaching Fellowship, the most prestigious award for excellence in higher education teaching and support for learning. The National Teaching Fellowship Scheme (NTFS), which celebrates outstanding achievement in universities, supports academics' professional development with awards designed to recognise and reward individual excellence in higher education teaching across England, Northern Ireland and Wales. 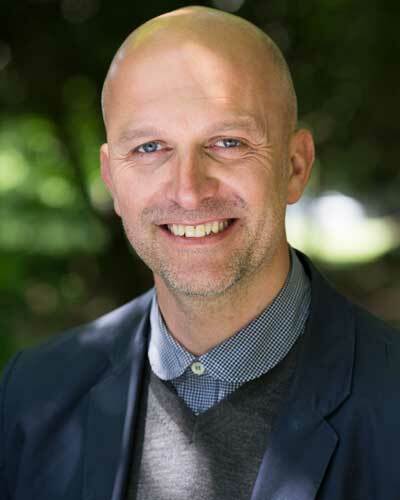 Since 1995, Graeme has advanced teaching and learning leadership in Cardiff, Manchester, Brighton and Middlesex Universities, initiating new ideas in the history, theory and processes of his discipline. At Middlesex, Graeme commenced his role by shaking up the Interior Architecture and Design courses. He founded the Interior Educators (IE), a unique group that provides a forum for debate and the exchange of ideas and practice affecting the education of designers of interior space. IE now represents approximately 95% of interiors courses across the UK. Graeme will formally be presented the award at a celebration event to be held at Liverpool Cathedral in October. "The process of the NTFS gave me an opportunity to reflect on a number of years of different aspects of my work, as an educator, writer and practitioner in interiors," he said. "To have this validated by the Higher Education Academy in this award is a great honour."